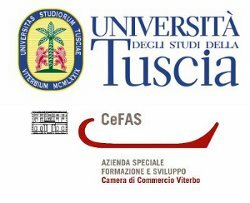 On 24th May 2012, the Special Training and Development Agency of the Viterbo Chamber of Commerce (CeFAS) hosted the conference “HYST Technology: new prospects for the use of agricultural resources”, organised by the Tuscia University, CeFAS and the Scienza per Amore Association in collaboration with BioHyst. The conference was opened by Stefano Gasbarra, Director of CeFAS, which in the 80’s organised management training programmes for developing countries. In his speech Dr. Gasbarra took the opportunity to bring greetings on behalf of Leonardo Senni, the Head of Energy Department of the Ministry for Economic Development. The conference proceeded with welcome greetings by Engineer Danilo Monarca, professor at Tuscia University, vice president of the Italian Association of Agricultural Engineering (AIIA) and promoter – along with Professor Maurizio Carlini – of the Interdepartmental Centre for Research and Dissemination of Renewable Energy (CIRDER). Professor Carlini, Tuscia University, presented an overview on the future of bioenergy and benefits arising from the use of biofuels and biogas. Engineer Pier Paolo Dell’Omo, Department of Energy Engineering at La Sapienza University of Rome, illustrated the basic principles of HYST technology and its application in the pretreatment of lignocellulosic biomass for the production of second generation bio-methane. Dr. Francesca Luciani, Italian National Health Institute (ISS), focused on the use of HYST in the food sector – both for human and animal nutrition. Luca Urdich, Scienza per Amore Association, illustrated the pilot project developed for Senegal and the Horn of Africa based on the use of cereal straw commonly found in those areas. Dr. Daniele Lattanzi of BioHyst closed the conference with an analysis of the possibilities resulting from the introduction of this technology in Italy and more specifically in the Tuscia area. Among the participants were several representatives of the African Movement who expressed their interest in HYST and emphasized the urgency of implementing the project Bits of Future: food for all without delay – a humanitarian project which has already been amply presented to government representatives of African countries.